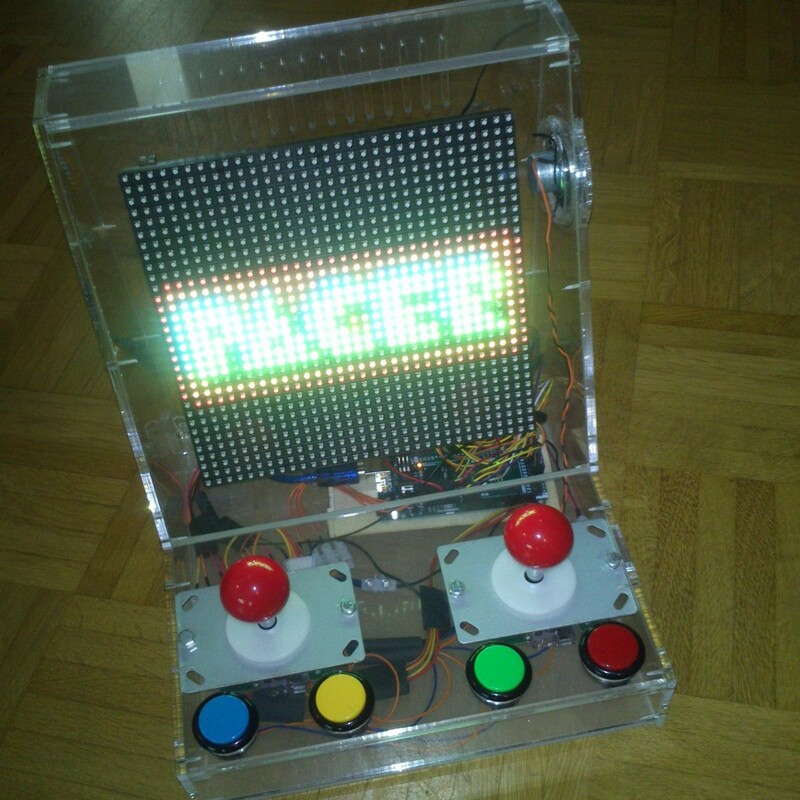 The LEDmePlay® is an gaming system with an Arduino Mega 2560 inside. It is easy to build. 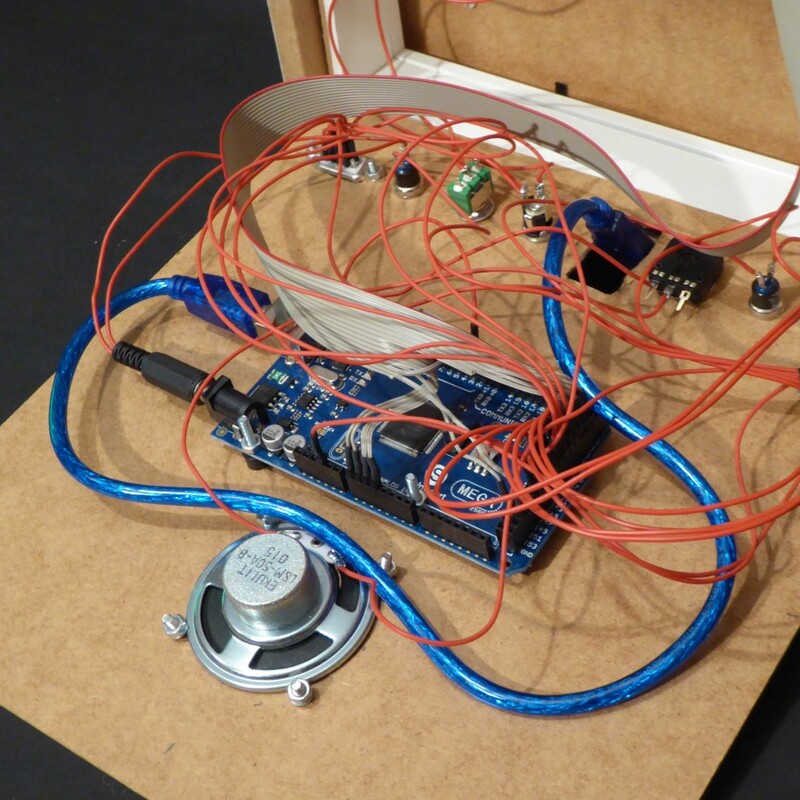 We have developed the prototype in 2013. 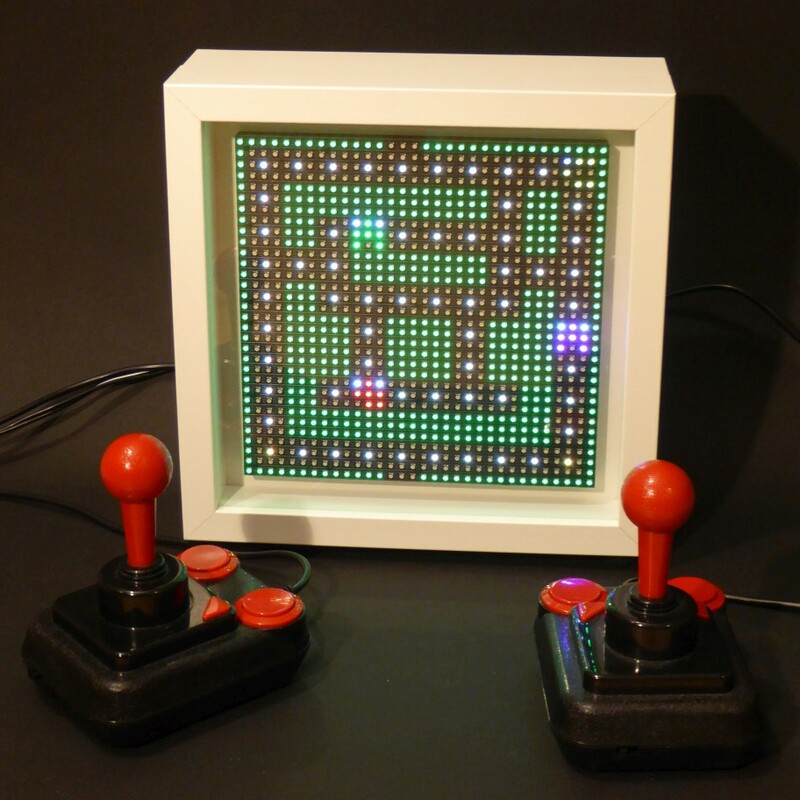 The games are displayed on a 32 * 32 RGB LED panel which fits perfectly into a picture frame. 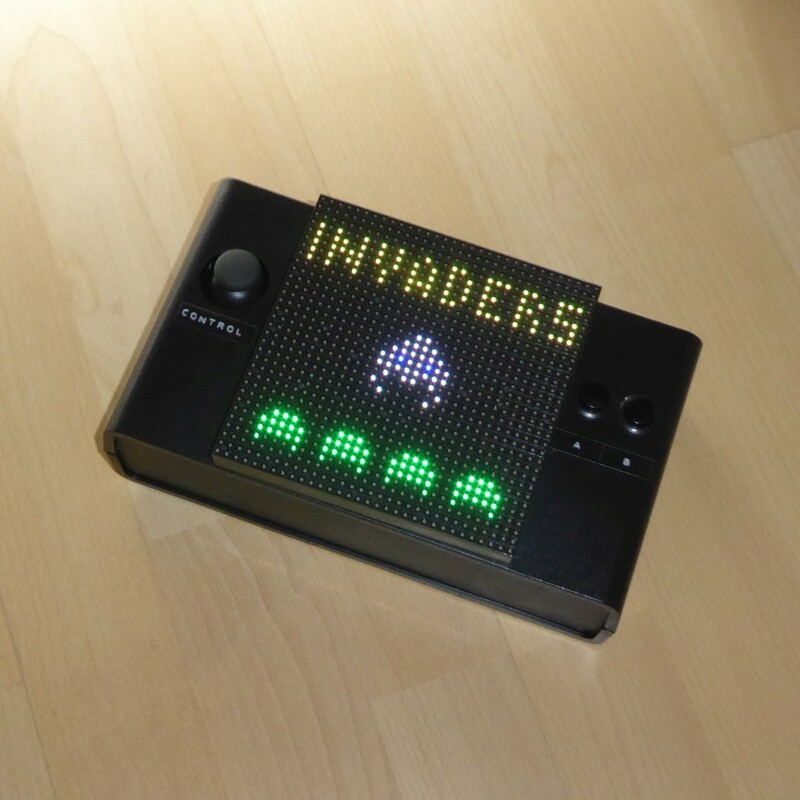 However, other housing variants are possible, like an arcade machine or a handheld (see below). The idea behind this intriguingly simple concept is to pare the game play down to its very essence without compromising action, speed, and fun. Inspired by many other LED projects we had watched on YouTube, the LED panel seemed to be the obvious solution for our endeavour. Check the construction manual to find out how you can build your own LEDmePlay®, and download and try the available games. Furthermore, we are working on a new development section which might be interesting for you if you want to learn how to program your own games. Mithotronic® and LEDmePlay® are registered wordmarks. If you want to use LEDmePlay® commercially, please contact us via e-mail: info@mithotronic.de. What is 8 + 16?